Legos are a huge hit with almost every kid I know. They are also a big fine motor tool with the occupational therapists I know. Pulling the little bricks apart and pushing them together to build a simple wall requires dexterity and works the small muscles in the hands (The intrinsic muscles). Two hands work together in a coordinated manner (bilateral hand coordination) which is a huge building block (Did it again with the building jokes!) to so many functional skills. Pinching and pulling requires an efficient grasp and tends to work on a tripod grasp with an open web space. The little blocks are resistive and really work the strength of the whole hand. Then there are the bright colors that inspire creativity and play through the visual sense. Kids can copy forms from a model, working on visual scanning as they search for the correct block, figure ground and form constancy as they make sure the block they found is the correct one, and hand-eye coordination as they manipulate and copy the example. Wow, what a huge resource for therapeutic development these little blocks are! 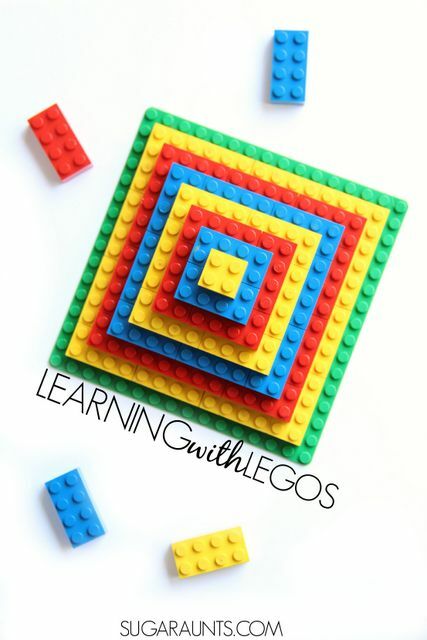 So how do you learn with Legos? 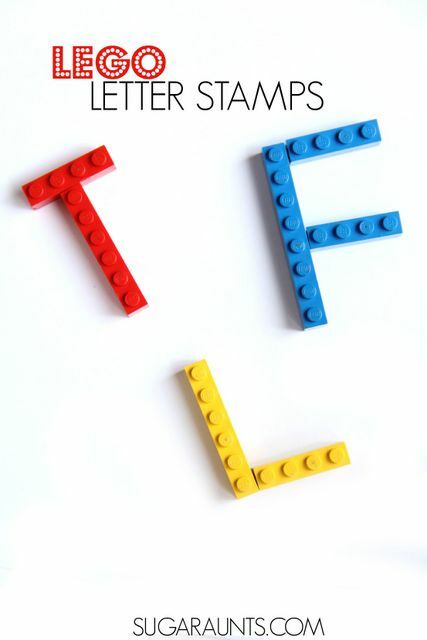 We practiced letter identification and letter formation using Legos . Using the long and single width blocks, form upper and lower case letters. 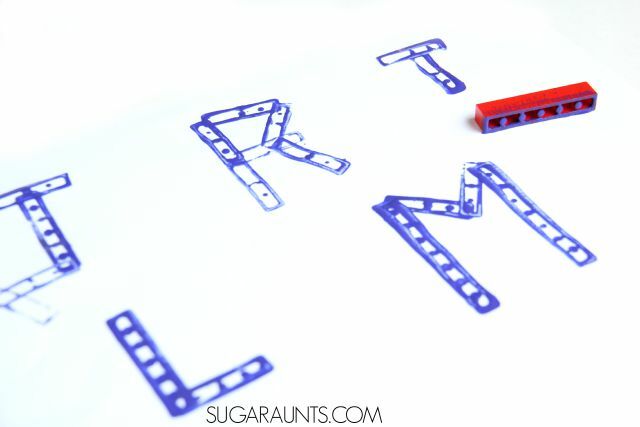 Kids can copy the forms to build their own letters as they work on letter formation and identification. This was a great activity for my preschooler. We used paint to create letter stamps using the Legos . Kids can copy their block forms and print the letters onto paper as they say the name of the letter and the sound associated with it. Older kids can stamp out words. This would be a creative and fun way to practice spelling words for school-aged kids. 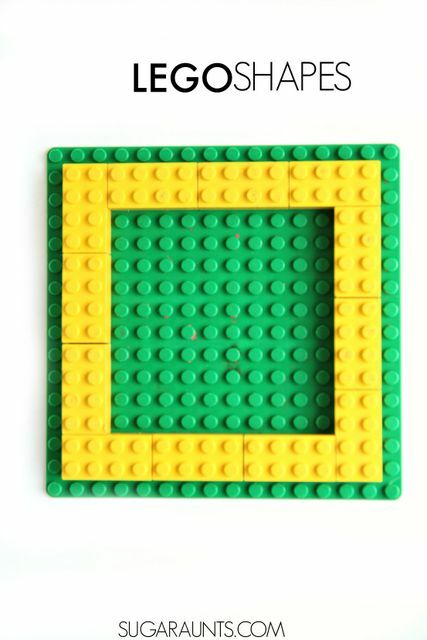 The younger preschool aged kids can work on identifying and building shapes with Legos . How many shapes can you build? Can you make 3D shapes like in the first image of our post? Kindergarten aged kids work on three dimentional form identification like rectangular prisms, cubes, and pyramids. They also identify the difference between a 3 dimensional shape and a 2 dimensional shape. Build shapes together with your child as a way to work on these skills. A big hit in our house was adding and subtracting with Legos. Build a stack of Legos 10 or more blocks high. 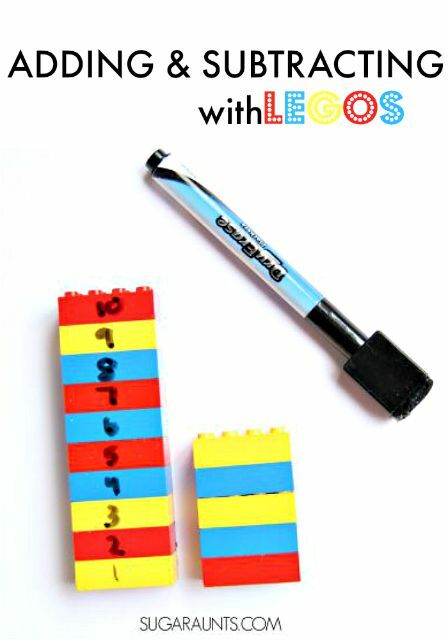 Use a dry erase marker to write numbers right on the blocks. Did you know a dry erase marker will wipe right off of the surface of the blocks? 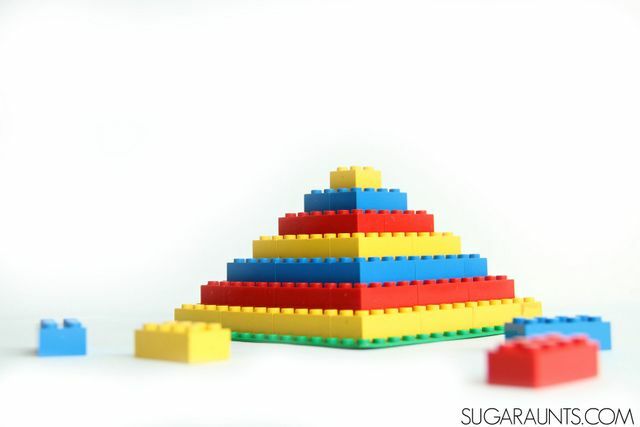 To practice adding and subtracting, work with your child as they build other stacks of blocks. Together, count on or count backwards to figure out the addition or subtraction by counting the remaining blocks to get to the top of the stack with the numbers written on them. This post is part of our month-long series: Learning with Free Materials series, where we share ideas to learn at home using free (or almost free) materials. It's part of the 31 Days of Homeschooling Tips as we blog along with other bloggers with learning at home tips and tools. Love these ideas? Pin it! You will want to check out our our Playful Math Pinterest Board for more fun and learning ideas.